Find hotel near Belvarosi Szent Anna Temp .. 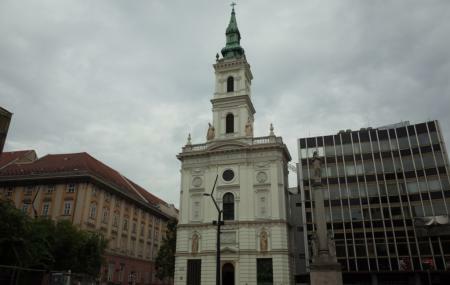 The Belvarosi St Anne’s Church or the Szent Anna Templom or the Servite Church, this beautiful downtown church is known by many names. It has an enriching history as it served as a hospital before turning into a church. During the turk invasion, it turned into a church and was made in the early 18th century. Today it stands as a complete remedy to the sore eye and also to a restless mind. You are sure to experience peace and tranquility here that is a little different from the usual hustle bustle of your monotonous life. How popular is Belvarosi Szent Anna Templom? People normally club together Aeropark and Comedy Theatre Of Budapest while planning their visit to Belvarosi Szent Anna Templom.